As an interior designer, your business lives off your works reputation, to help you market your work effectively you need a good marketing strategy. 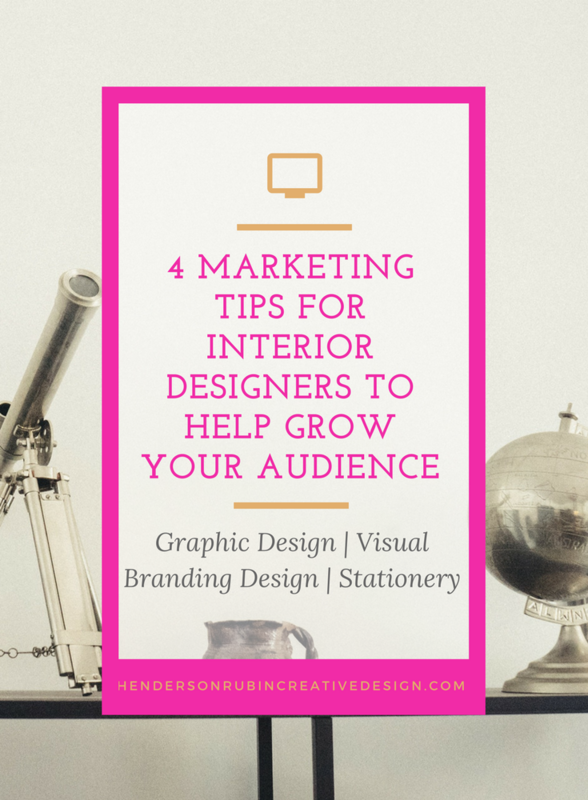 Here are four simple tips to help you market to your audience and grow your clientele. Refresh Your Social Media – This is a great place to start because you can build your online presence fast and at little cost to your bottom line. Take advantage of social media and update your brand image with new profiles, headers, and backgrounds; of course, keeping it all consistent with your brand colors, images, and typography. Advanced tip: Don’t go overboard and sign up for all the social platforms and media channels just the ones that your perspective clients frequent. Connect with colleagues and peers in the industry as well can boost your reach. Guest blogging, podcast interviews, and contests are great ways to get your business out there, making sure of course, you have a link back to your website for added benefit. Continue to have an online presence by updating your portfolio and have a dedicated website for your business not just have your work on Houzz. You need to leave your online footprint for your audience and clients to follow, a home base if you will. It is essential to have the best photos of your work to put in your portfolio because this helps potential clients decide if your aesthetic and personality align with their own. I can’t stress enough how important it is to have a mobile-friendly website for your business. If you haven’t updated your website in the last couple year, it’s time for a facelift, you may want to consult a website designer to make sure your site is mobile friendly. Get out there and participate in seminars by volunteering as a speaker or attend trade shows. To up your came have a professionally custom designed keynote presentation and of course show off those business cards you had designed. If you have the website, qualifications and a portfolio but no real sense of a cohesive design strategy. Finding a graphic designer, like myself, that can help you build a cohesive brand identity will help you in the long run. Find and build a relationship with a graphic designer will make all the difference in the world. My business approach when collaborating with my clients’ is that of being your business’s best friend and make sure you are always on point by creating a beautiful brand identity that you can showcase across all platforms. Check out my blog post on How to Hire the Right Graphic Designer for your business.